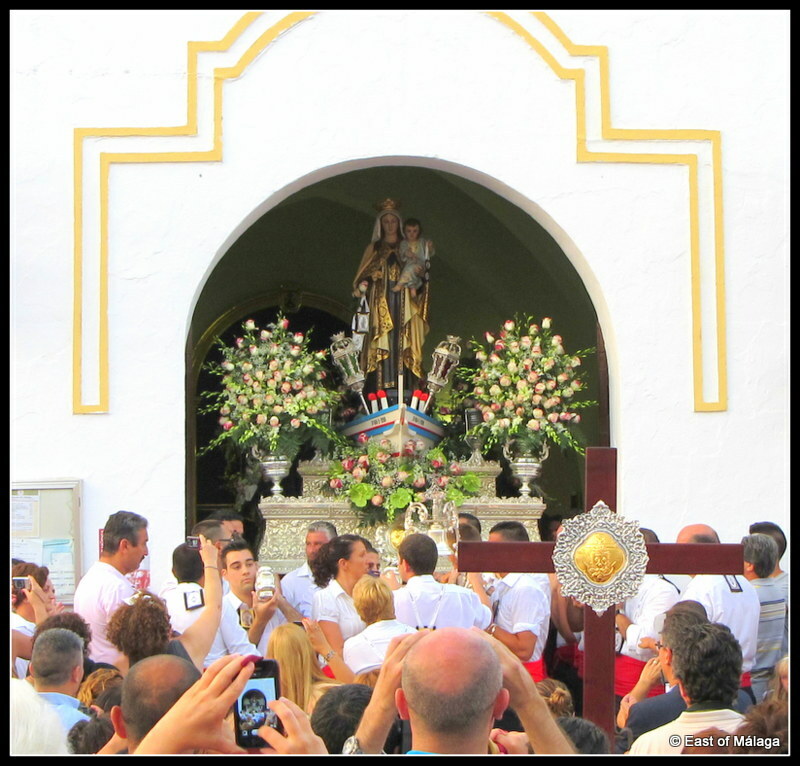 In a festival that dates back several hundred years, many coastal towns and fishing villages in Spain celebrate the Fiesta del Día de Virgen del Carmen as the protector of mariners and fishermen. 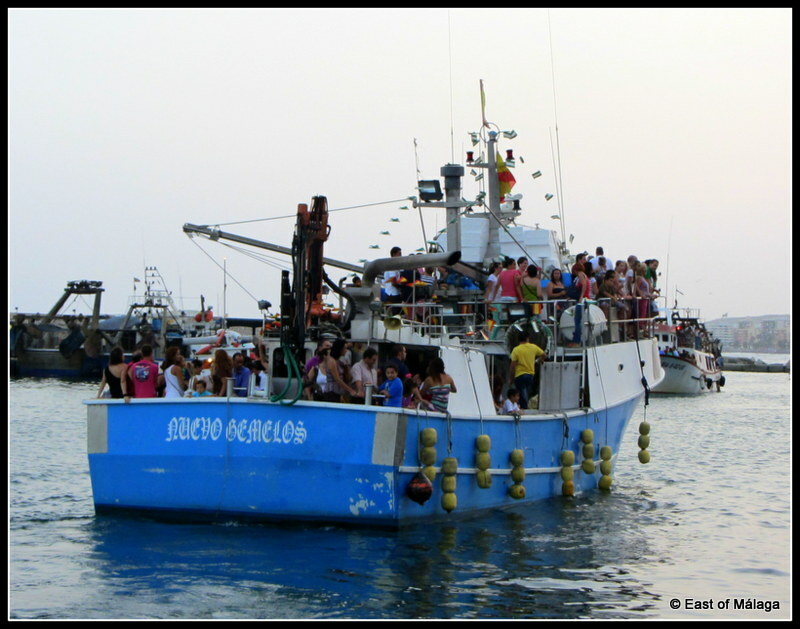 Every year on 16th July, spectacular maritime processions of decorated fishing boats known as jabegas head out to sea carrying their precious cargo, an effigy of the Virgen del Carmen, to bless their fishing grounds. 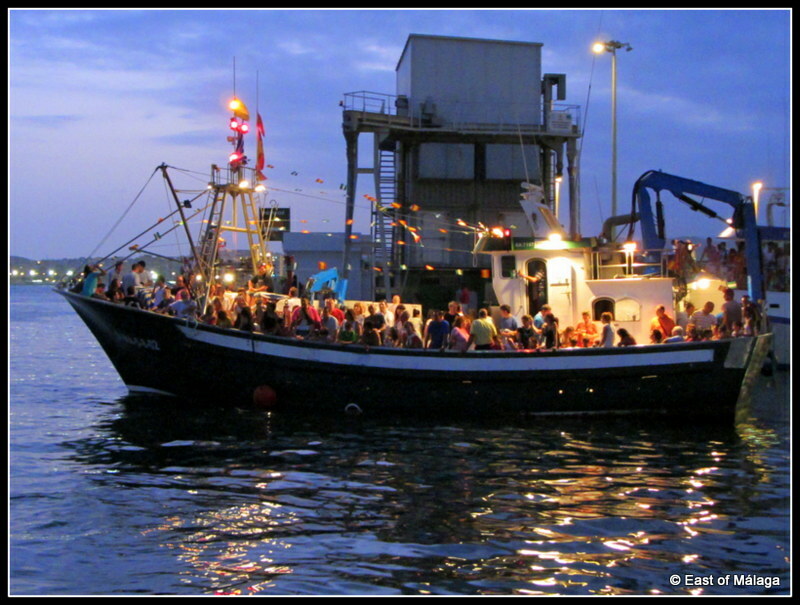 The vessels, many decorated with brightly coloured flags and bunting, each crowded with people, gather under the late dusk sky patiently waiting for the official party of sailors, fishermen, clergy and authorities to bring the Statue of the Virgin on board the boat that will lead the procession. 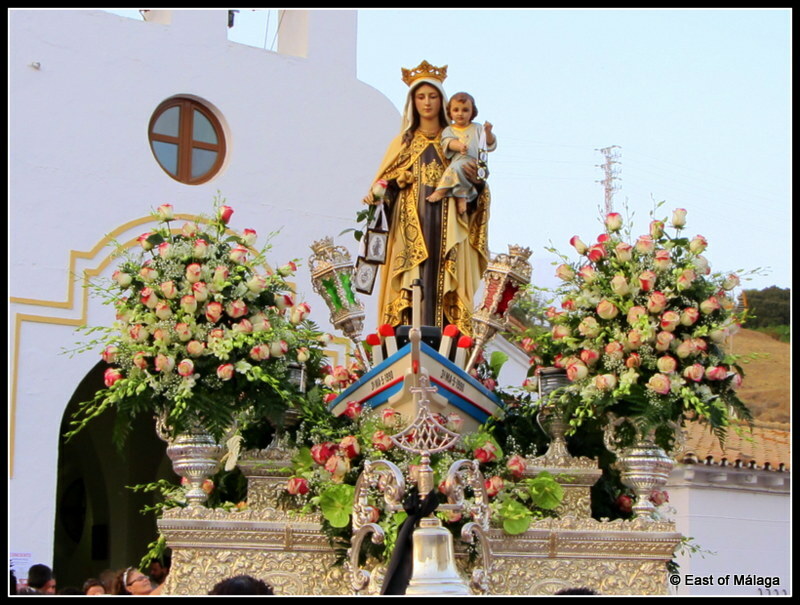 But before that, the Virgen del Carmen is paraded through the streets for all to see. 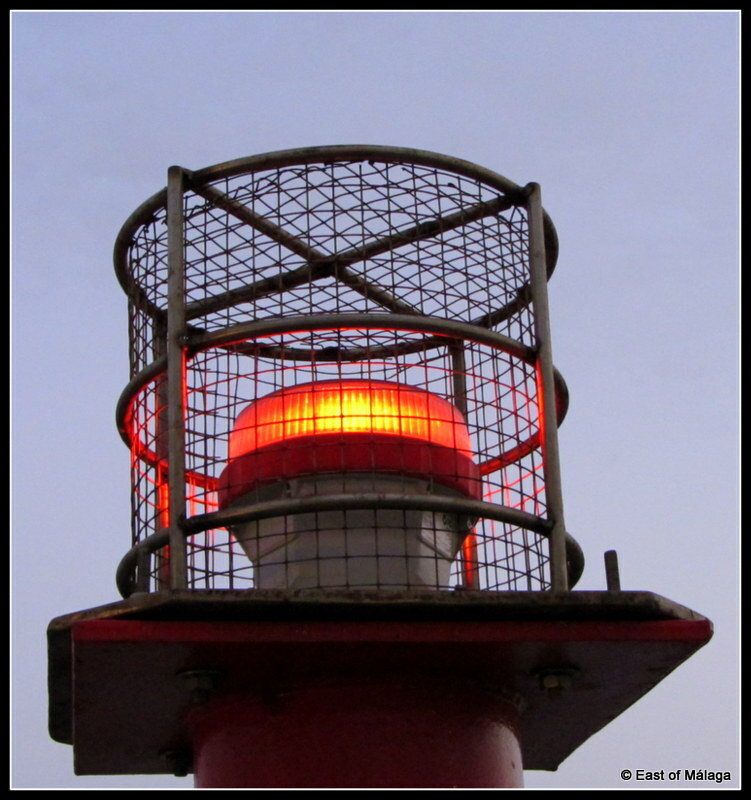 There is an air of excitement with people surging forward for the best views as the parade passes by, before making its way to the water´s edge. 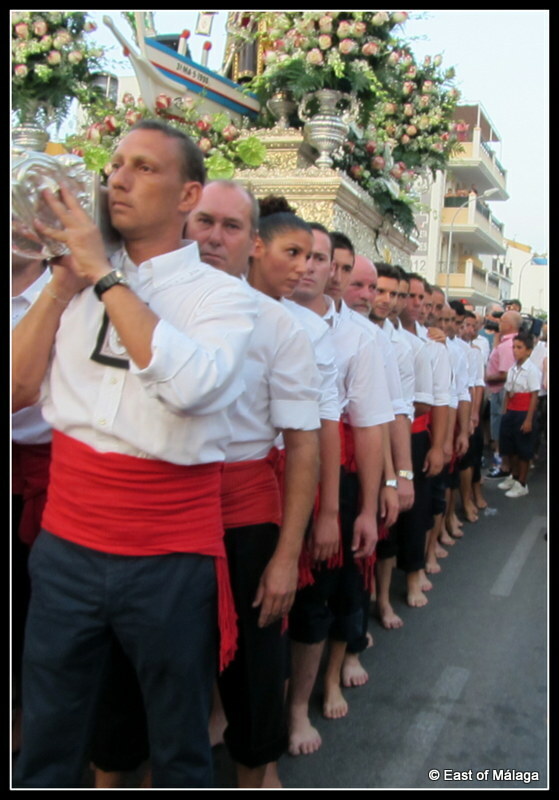 Celebrations vary slightly from town to town along the coast, east of Málaga. 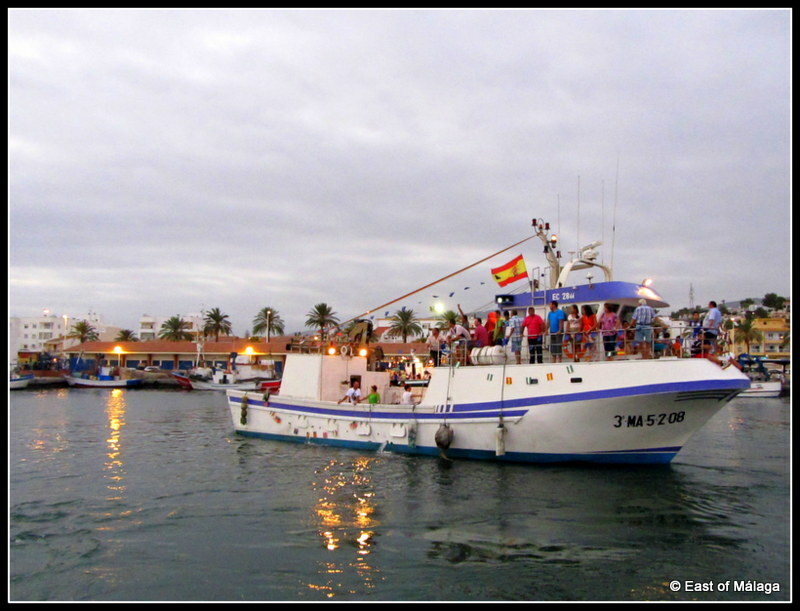 My photographs show last night´s celebrations in La Caleta de Vélez, situated at the mid-coastal point of La Axarquía. 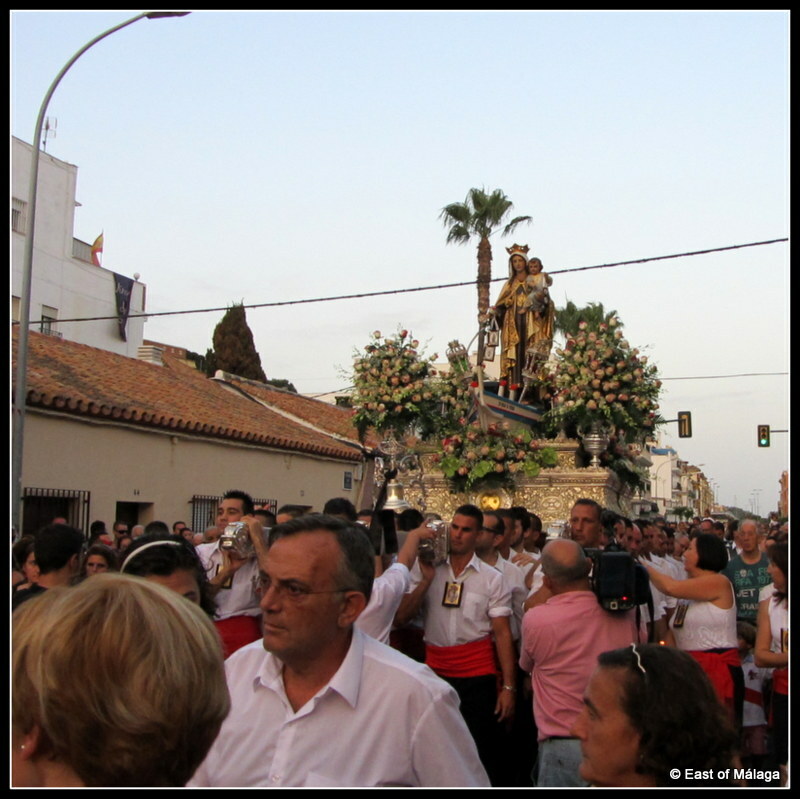 The video below shows the celebrations held last year in the town of Torre del Mar, just along the coast from La Caleta de Vélez. Whilst you´re here, why not have a look at the following articles too? 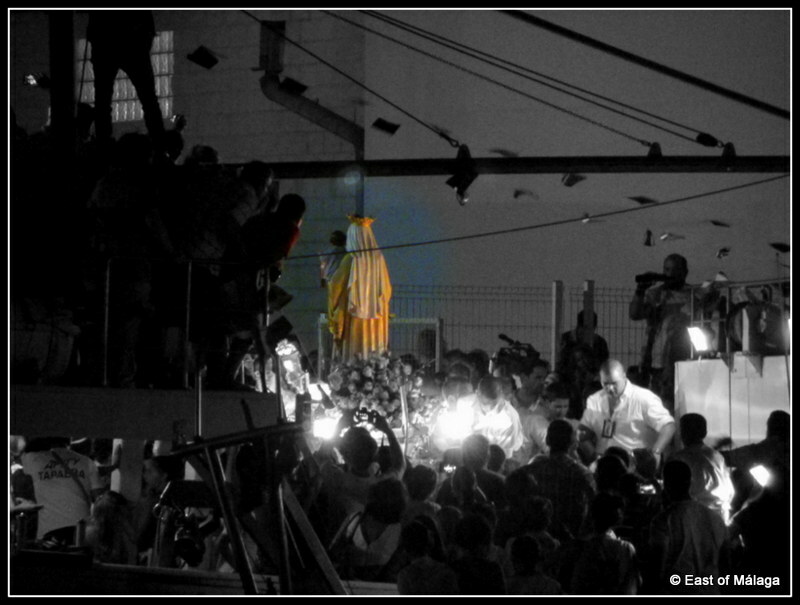 This entry was tagged Andalucía, culture, customs, Europe, festivals, fiestas, life, lifestyle, local, Malaga, photography, photos, Spain, summer, traditions, travel. Bookmark the permalink. I loved seeing the photos. My favorite Spanish festival is Fallas in Valencia. I’ve been to festivals in Zaragoza, Santiago de Compostela, Sevilla, Alicante, and Albacete. I love how distinct and special each festival is. I always love to see the offering of flowers to the Virgin. I’m not Catholic, but I love the traditional behind it. Yes, its wonderful the way every town or village makes each festival their own. 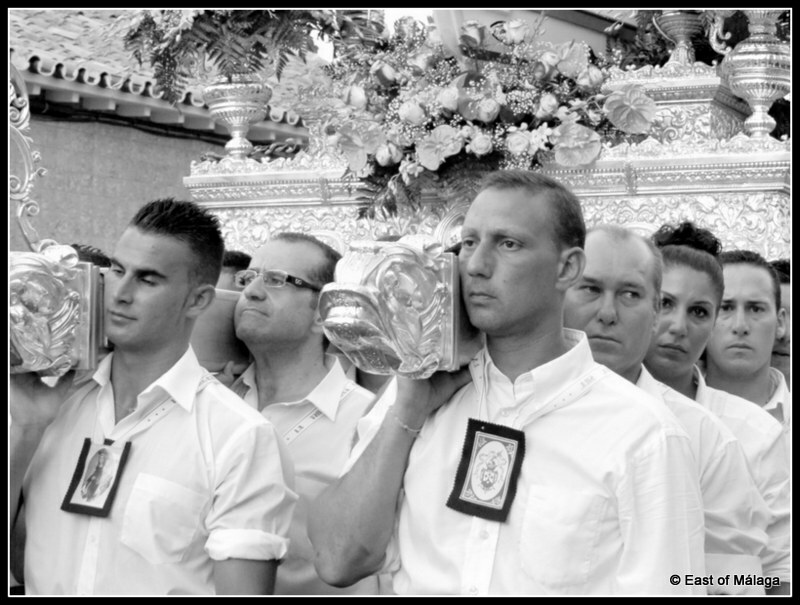 I´m not Catholic either, but I never fail to be moved by the true devotion shown by the locals. There is always an air of excitement and I love to see all the generations in a family out together, with all of them having made an effort to dress up in their best clothes. What a fun festival! It looks really crowded, it must’ve been really fun to be there. 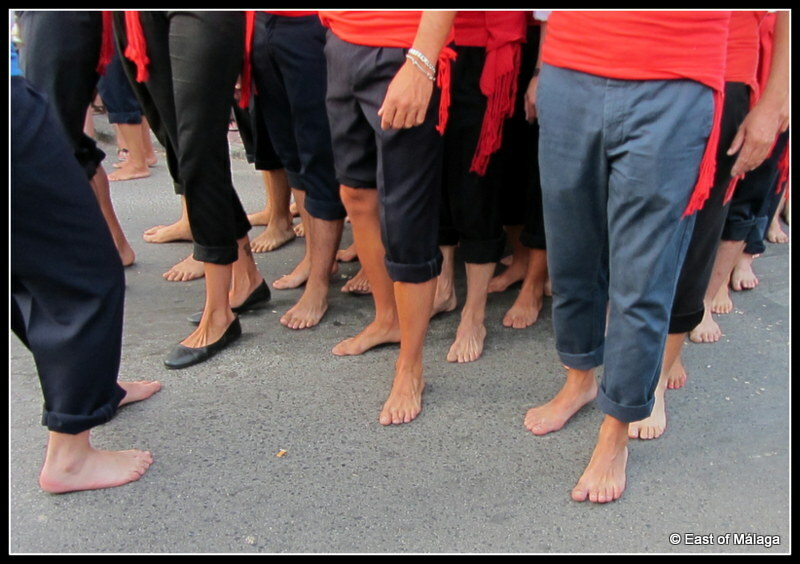 My favorite summer fiesta is Barcelona’s Festa Major de Gràcia, one of the neighborhoods. Each street decorates according to a theme and they go all-out. On top of that, it’s a 24-hour party for an entire week. Spain really does have the most fun summer festivals! Yes, everywhere was absolutely packed with people of all ages – grandparents through to babies. Beautiful photos! On this Texas coast we have the blessing of the boats but nothing like this which combines a shrine. Thanks for sharing. I look forward to this festival each year – there always seems to be something new, no matter how many times I see it. Fabulous photo’s … I really like them. The story was interesting, too. 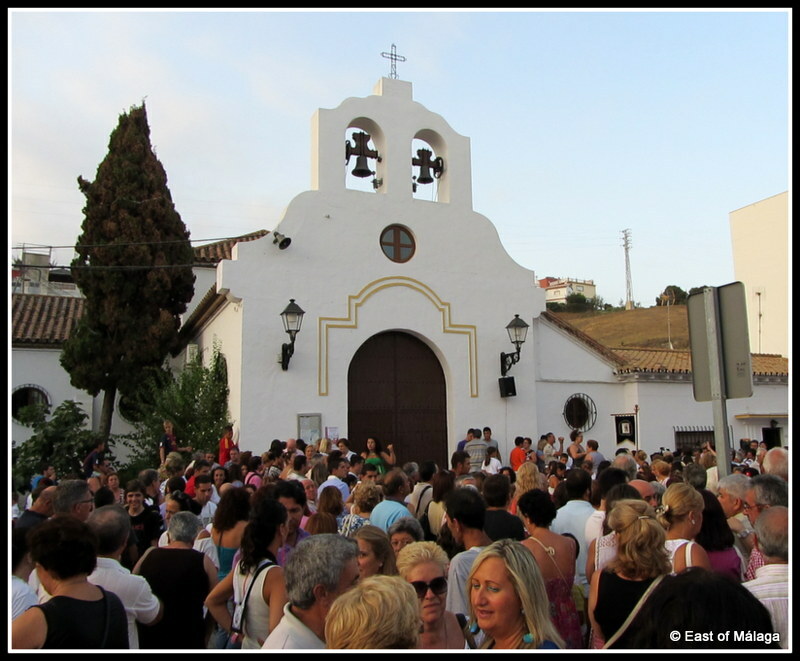 Your friend is right – there are loads of festivals in Andalucía throughout the year, and in particular, in the summer months. It´s great fun to join in with what is going on and the locals are so enthusiastic they encourage everyone to join in with them. They seem to thrive on tourists or foreign expats being part of their celebrations. It´s wonderful! Muy bonito! 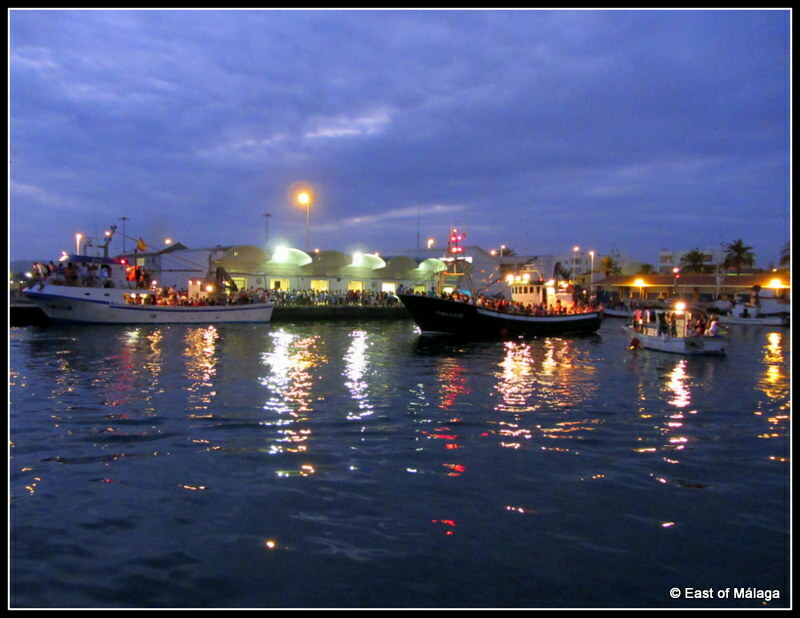 I loved the photos….have never been to this celebration at the seaside here (only in Italy when I was a child). One of our local hamlets also celebrates this feast day but we´re inland!